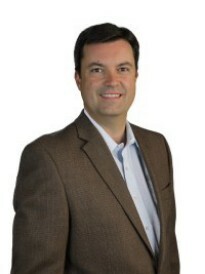 Jay Olson is the owner of a Goosehead Insurance franchise located in Sugar Land, TX. Jay and his team have over 40 years in the insurance industry and work with the top rated local and national insurance companies to find the best coverage at the best price for their clients. Jay spent 13 years as an actuary, building insurance products and set the pricing policy for the insurance companies. With this in-depth knowledge of the products and industry, Jay is able to provide key insight to his customers to make sure they know what is really important in their policies and where the best “bang for the buck” is. Jay is a native Houstonian, graduated with a math and finance degree from UT, and was a top 1% agent with Farmers Insurance before teaming up with Goosehead. In his spare time, he enjoys skiing, SCUBA diving, and spending time with his wife Rebecca and 7 year old son Matthew. Jay and his team look forward to providing you peace of mind by being your personal insurance expert.